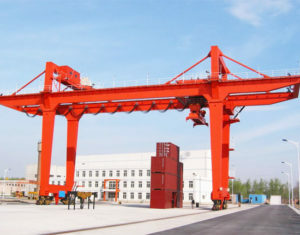 Gantry crane is widely used to lift and move both small and heavy duty loads in a variety of fields, such as workshop, warehouse, freight yard, railroad, shipyard and port. 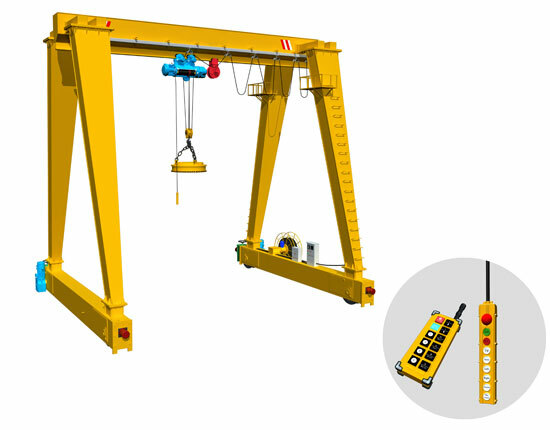 As a variation of overhead crane, the gantry lifting equipment is an ideal lifting solution for many facilities and workplaces where they are not practical to build an overhead lifting system. 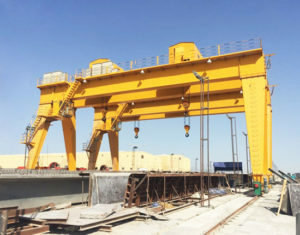 The gantry crane equipment comes in various types such as rail mounted, rubber tyred, single girder, double girder and truss forms to suit different needs of customers. 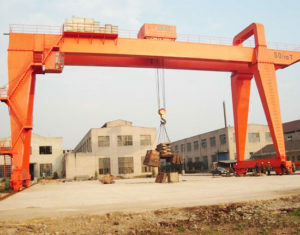 Served as a highly efficient and safe lifting tool, gantry crane can significantly facilitate productivity and operations of your production lines as well as save much time and money for you. 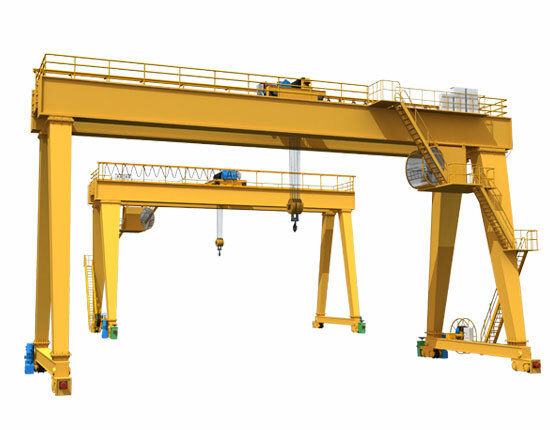 Our gantry cranes have exceptional features including superior quality, safe and reliable performance, high durability and low cost. 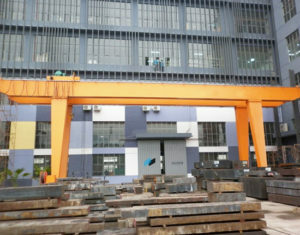 Ellsen machinery has been engaged in material handling industry for a long time, and we are committed to providing the most cost-efficient lifting solutions for clients so as to create maximum value for them. 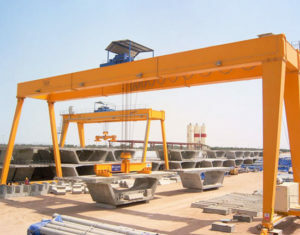 We also provide a full spectrum of services in the whole order process including the selection of crane model, manufacturing, delivery, installation, commissioning and maintenance, taking the most practical needs of customer as first priority. 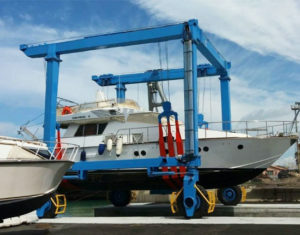 With years of expertise and experience, we always provide quality products and dependable services, making us the first choice for clients. 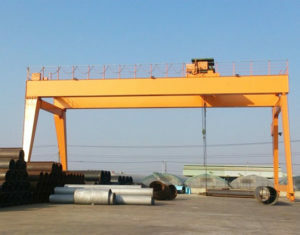 If you have any need for gantry crane, contact us online now and also welcome to visit our factory. 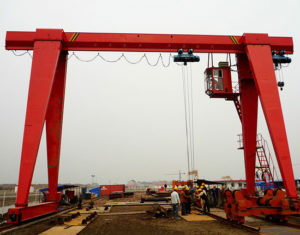 We will be more than happy to work with you in the near future! 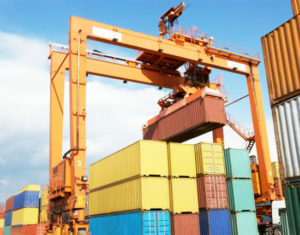 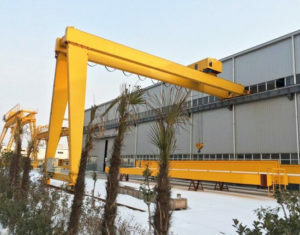 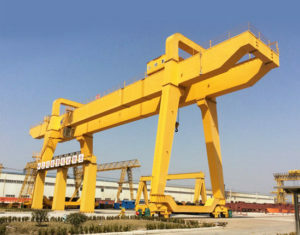 We supply many different types of gantry cranes to serve a wide range of applications, mainly including rail mounted gantry crane, rubber tyred gantry crane, small gantry crane, light duty gantry crane, heavy duty gantry crane, portable gantry crane, semi gantry crane, cantilever gantry crane, truss gantry crane, container gantry crane, electric gantry crane, travelling gantry crane, industrial gantry crane and more. 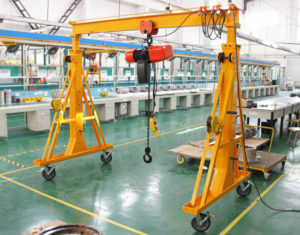 Each type is designed for a specific use and has its own pros and cons. 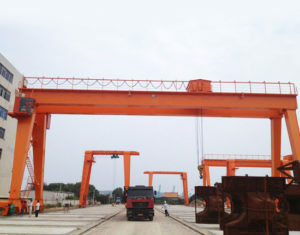 For instance, rubber tired gantry crane provides a more flexible and convenient movement, whereas rail mounted type crane travels along fixed rails. 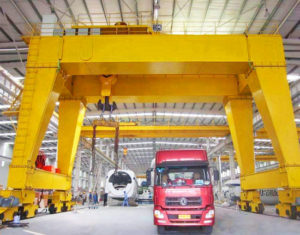 The semi gantry crane is preferred when your work space is limited, and truss gantry crane is usually used in various open working areas to prevent the attack of strong winds. 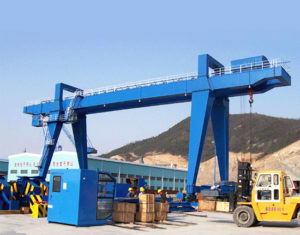 Our gantry crane is designed with solid construction and can realize a high utilization of work space and wide adaptability. 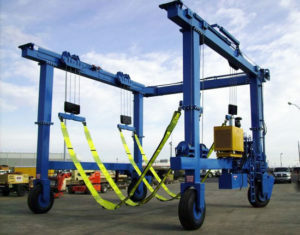 With respect to different working environments, lifting needs and ease of use, we will design the most appropriate lifting solutions. 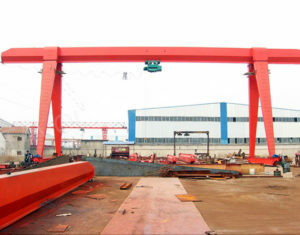 According to different girder constructions, gantry crane can be divided into single girder gantry crane and double girder gantry crane. 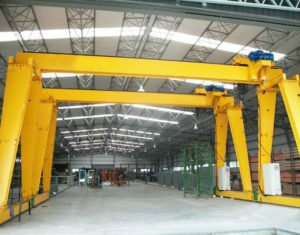 When it comes to single girder crane, it usually refers to a small lifting needs, whereas double girder crane is able to undertake large and heavy lifting tasks and also has high working level. 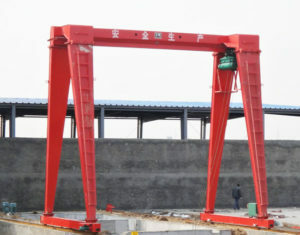 Therefore, double beam gantry crane is usually more expensive than single beam design. 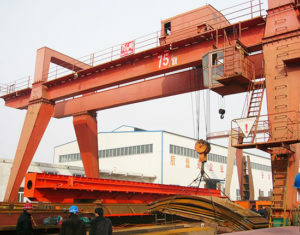 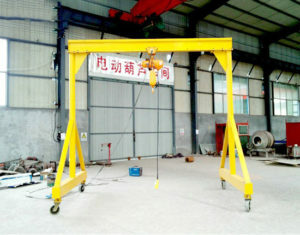 The gantry lifting equipment typically comes in A frame crane. 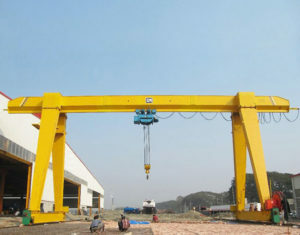 However, based on particular lifting requirements, we supply L-shape and U type legs for your gantry crane. 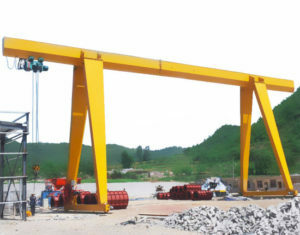 For single girder and double girder gantry cranes, they are all designed with sturdy structure, and can provide stable and reliable performance. 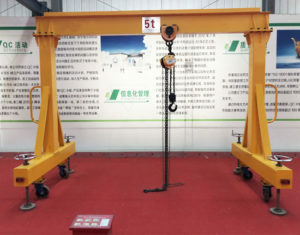 Which form of gantry crane is right for you is highly determined by your specific lifting requirements such as capacity and frequency of use. 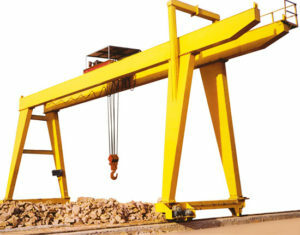 We have professional technical team and reliable customer services to help you in the whole selection process. 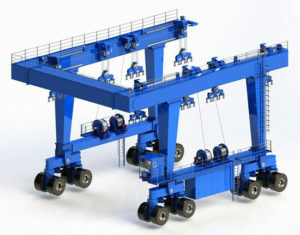 If you have any need, contact us now, and we will assist you to select the right configuration. 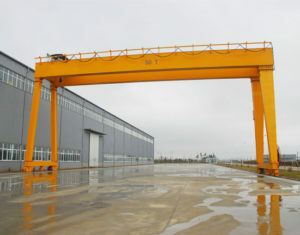 Gantry crane is adaptable to a wide variety of fields such as open storage yard, construction, railroad, mining and port to help promote production as well as economic growth. 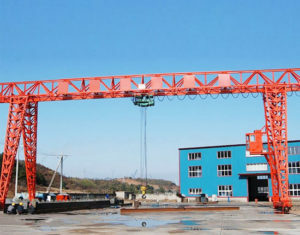 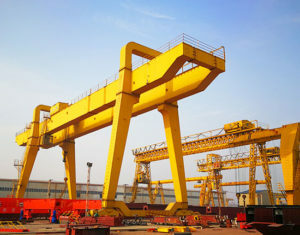 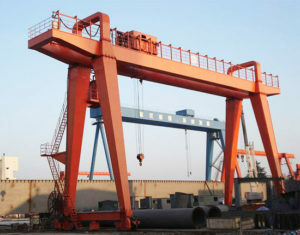 With regard to different working environments, the gantry lifting system can be classified into indoor gantry crane, outdoor gantry crane, port gantry crane, garage gantry crane, workshop gantry crane, shipyard gantry crane, shop gantry crane, workstation gantry crane and ship to shore gantry crane. 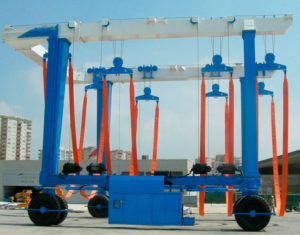 Each style of lifting system can be built with different configurations, sizes and designs so as to suit specific lifting needs. 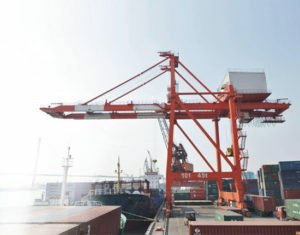 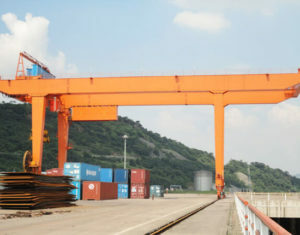 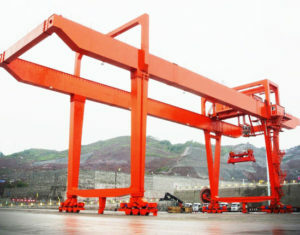 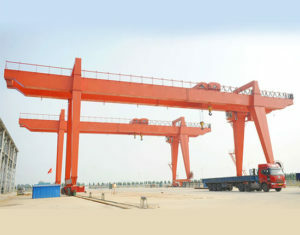 For example, port gantry crane can be equipped with a special spreader to handle the stack of containers. 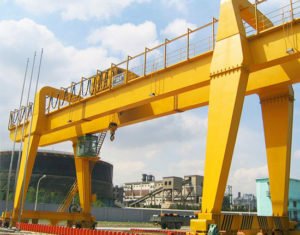 Many gantry cranes for outdoor uses are suggested to be equipped with several protection devices such as wind-proof device, rain cover and lightning protection device to protect the equipment and its critical components. 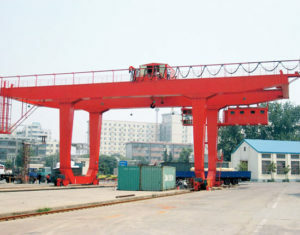 The garage gantry crane can be built with fixed or adjustable height and span designs to fit different facilities. 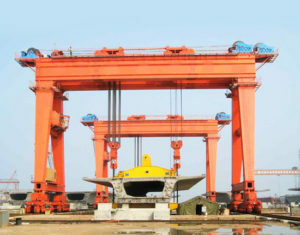 To know more, contact our sales team online directly. 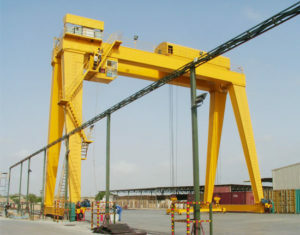 Gantry crane produced by Ellsen is capable of handling a wide range of materials from small to large size. 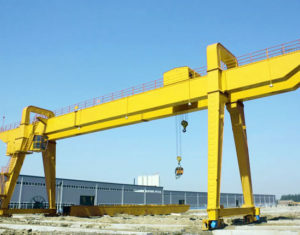 It can lift with a variety of capacities, usually in a range of 1 ton to 200 ton. 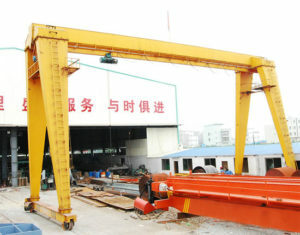 For light duty gantry crane, the popular models can be found in 1 ton, 2 ton, 3 ton, 5 ton, 10 ton crane and so on. 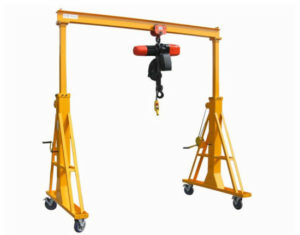 The small gantry crane typically comes in single girder with fixed or adjustable height and span designs, and the small mobile gantry crane is also available to realize a more flexible movement. 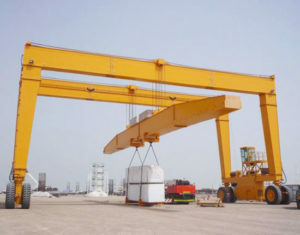 To suit your heavy lifting applications, we supply 30 ton, 50 ton, 100 ton gantry crane and more on your requests. 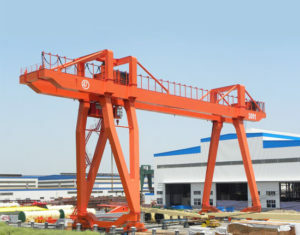 Heavy duty gantry cranes are usually designed with double girder structure and available in rail mounted and rubber tyred type for you to choose from. 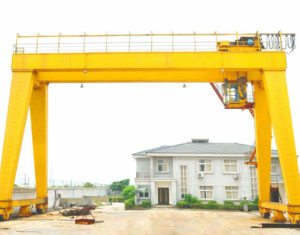 We also provide customized gantry crane to meet your special needs. 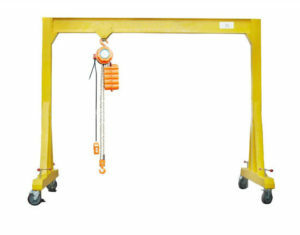 Travel lift for sale from Ellsen machinery has long working life and high durability. 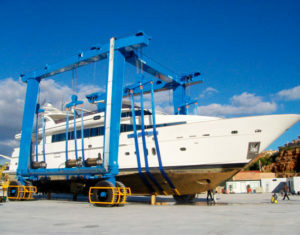 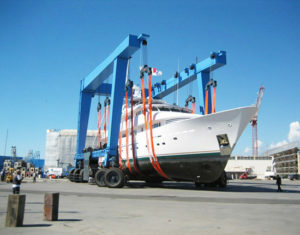 It is ideal for lifting and transporting large vessels in harbor, dockside, shipyard and yacht club. 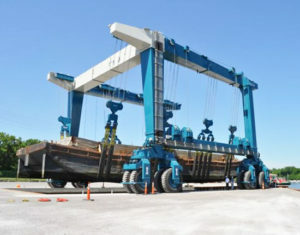 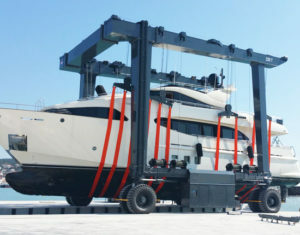 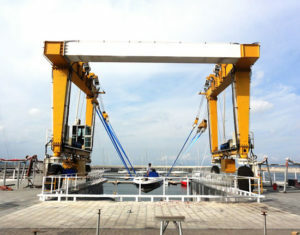 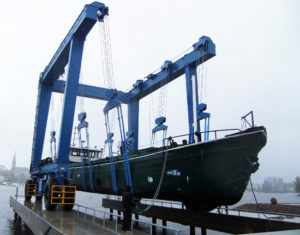 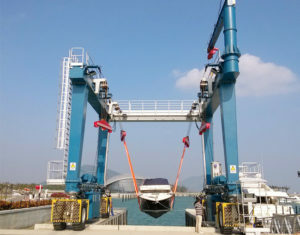 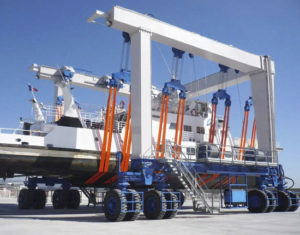 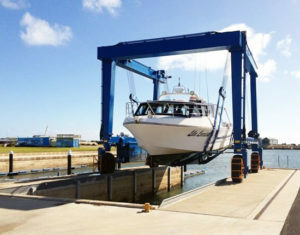 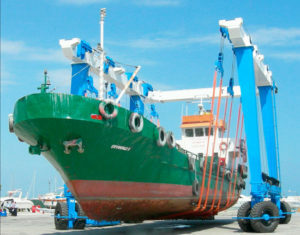 The boat travel lift is capable of handling large tonnage ships, such as 100 ton, 200 ton, 500 ton, 1000 tons and more. 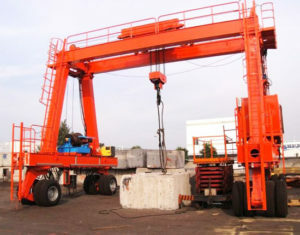 It can be custom designed and built for your special requirements. 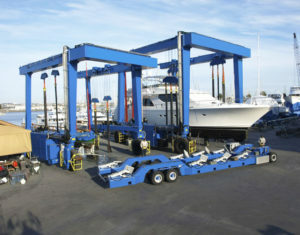 We provide high quality products and professional services for clients as always to make them satisfied. 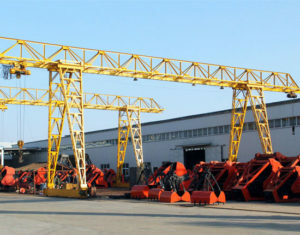 If you are interested in our products, please feel free to contact us online. 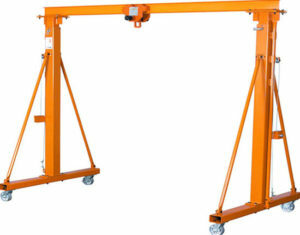 We will be very pleased to assist you to find a proper lifting system for your application.